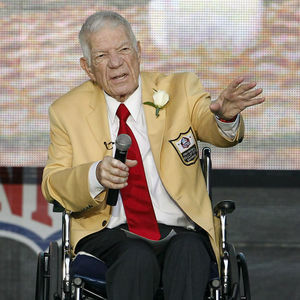 NEW YORK (AP) — Ed Sabol, the NFL Films founder who revolutionized sports broadcasting and reimagined pro football from an up-and-coming league to must-watch theater, has died. He was 98. Sabol died Monday at his home in Scottsdale, Arizona, the NFL said. Add your thoughts, prayers or a condolence to Ed's guestbook. "May God continue to bless Mrs Sabol,Blair and the rest of the Sabol family."